The Ruddy Potato began as Dunfield and Daughters in a tiny space in lower Snug Cove on Bowen Island. 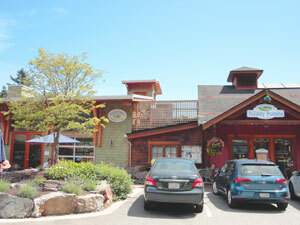 After a change in ownership it opened its present location in 2001: a custom built building in Village Square. The Ruddy Kitchen Cafe and Market Garden on Sunset Road were added in 2007, and in 2014 we added our beautiful new full service deli. The Ruddy Potato is privately owned and managed, supporting a full complement of local staff.